As the July 31 deadline to file income tax (I-T) return by salaried individuals draws closer, you would get unnerved in case you fail to cull out important nuggets of information required to file the income tax (I-T) return accurately, especially when you don’t have a tax expert to fall back upon. Remember that the incorrect return is likely to draw the tax department’s attention, which might even send a notice asking for explanations, an occurrence you would like to evade at any cost. The income tax department, however, has made its e-filing website quite comprehensive so as to help the tax payers not only file the income tax return smoothly by filing ITR forms, but also calculate the income tax and various exemptions accurately. 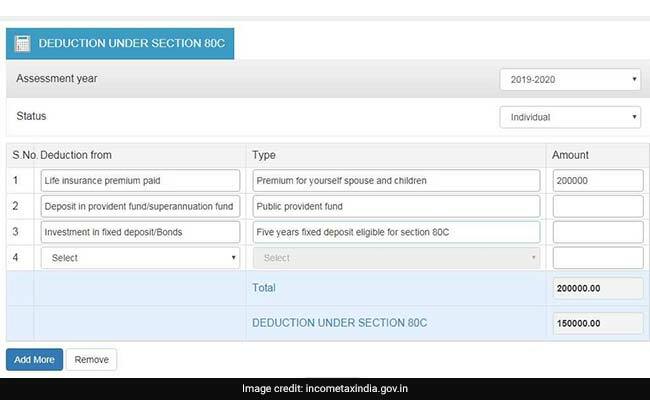 As you open the incometaxindiaefiling.gov.in website, there is a widget called Tax Calculator that one sees on the left hand side. On clicking the same, the visitor of the website will be made to leave the e-filing portal and enter the website that is operated by other parties. “Such links are provided only for the convenience of the client,” reads the pop-up message on the income tax e-filing portal. There are 30 different windows to help calculate 30 different tax/exemption components such as medical facility, rent free accommodation, transport allowance calculator, house rent allowance calculator, TDS calculator, gratuity, income from house property, among other categories. This will help you file the final income tax return. As you hover the cursor around any particular window out of the total number of 30 windows, the window’s back portion turns frontward and shows you a brief of what the exemption entails. 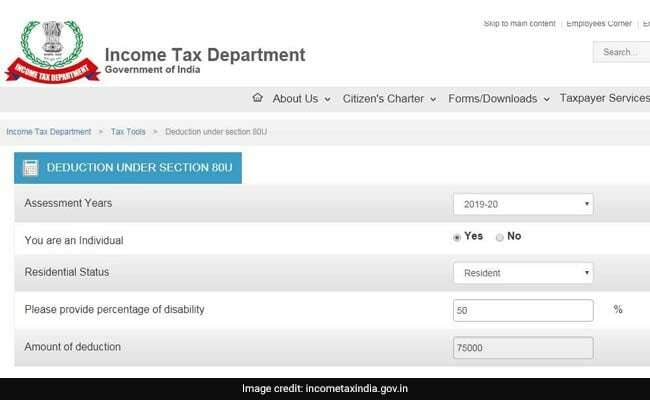 For instance, on checking the section 80U window, the box detail tells you that the deduction is meant for the individuals who are certified by the medical authority that he is a disabled person. As you open, the respective window opens. You can mention the figures inside the window, the system will tell you to write the figure under various categories. The sum total of all figures will not exceed the total exemption allowed in the Income Tax (I-T) Act, 1961. Similarly, in the case of Section 80 C, you get something like this. It is worth noting that the total limit will not exceed what is prescribed in the Income Tax Act, 1961 and the rules thereof even if try writing a higher amount. In the window shown below, the section 80C exemption is capped at Rs. 1,50,000, so the window shows only this amount and not Rs. 2,00,000, as written by the visitor. In case of case of section 80D, you get to see the following window. 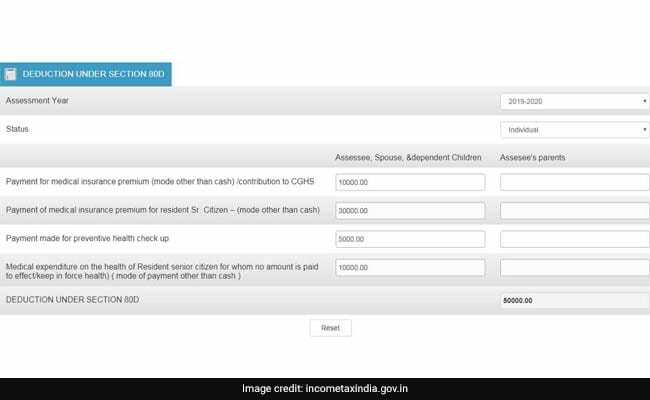 After calculating various exemptions, one can calculate the total taxable income by clicking the taxable income window. The revised income tax (I-T) returns can be filed by March 31.